Thousands of companies have entrusted IMT Transport to move their valuable goods for them since 1974. We have relationships going back decades with many of our clients. Relationships that were formed by years of providing professional service at competitive rates. By every definition, we’re here for the long haul. We service the lower 48 states with pride. We’ve got trucks in virtually every state, every week, all year around. If you’re seeing our trucks and trailers more often on the nation’s byways, it’s because we’ve been on an unbroken growth streak for six years running. Our equipment looks different because it is different. We maintain a modern fleet that is maintained to the highest level. Our drivers are the best of the best. If you’re tired of worrying every time a load leaves your facility, it’s time to raise your expectations about what you can expect from your trucking company. We will strive to provide the safest and most professional transport of your valued commodities. We will treat your freight like it is our own. We will be accessible to you, and accountable for our services. If circumstances beyond our control affect our ability to meet our commitment to you, we will proactively work with you to find the best solution possible. We hire the best drivers in the industry. We keep a modern fleet of trucks and trailers that are best suited for your specific needs. We challenge ourselves continually to be the best specialized transport company in the nation. We listen to our customer’s needs and then dedicate our service to meet those demands. FLAT BED: we maintain a large fleet of industry standard 48’ and 53’ flatbed trailers. RGN: the Removable Goose Neck trailer is our ace in the hole for large machinery that drives itself on the deck. CONESTOGA: as the name implies, these "covered wagons” combine the utility of a flat bed and weather protection for critical loads. OVER DIMENSIONAL: when size or weight of your load require permits and special handling, use the company that knows how to move Over Dimensional freight legally and safely, IMT Transport, Inc.
DRIVE AWAY: sometimes a service vehicle is just too big to haul. We maintain a team of professional drivers that can place that unit directly with your end user or distributor. 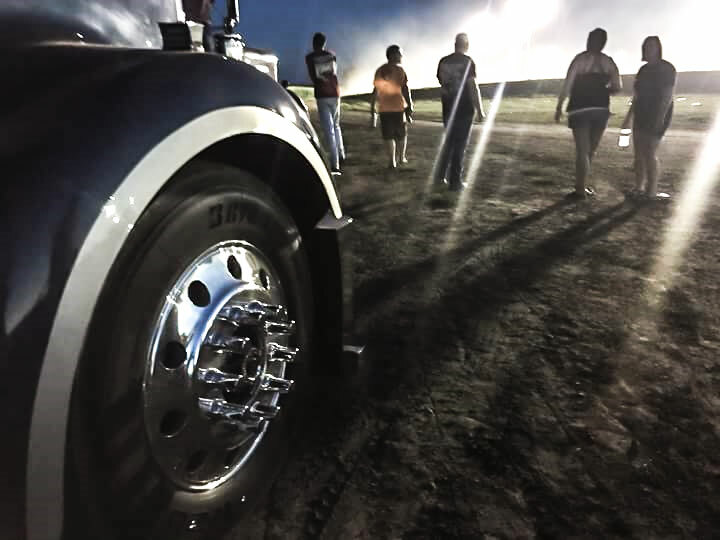 We have a sound safety record, and a large fleet of the best drivers and trucks going. IMT Transport operators know our segment of the trucking industry inside and out, and many of our dispatchers and load planners got their start driving our rigs. We truly do know how to do this right, and would appreciate the opportunity to haul for you. We are a family owned company. Our small-town values are reflected in the service we offer, the people we hire, and the standards we uphold. You don’t have to deal with strangers at IMT Transport, Inc.
You’ll deal with the same dispatchers and drivers time after time, year after year. At IMT Transport, we believe it’s our competitive rates, great service, and safe transportation to all 48 continental states that set us apart. From raw materials to completed trucks, we have the knowledge and experience to move your truck equipment quickly, safely, and reliably. We started this business to move large service vehicles from the factory to the new owner over 40 years ago. Four decades of experience has taught us how to move new trucks the right way. From military vehicles to earthmovers, from ambulances to gas pipelines. Our comfort zone starts where most shippers begin to back away. Call us, we’ll get it rolling for you! We’ve got the best software available to map and monitor our loads, and the best team of planners and dispatchers making it all happen. Do you have freight to ship? Would you like to learn more about one the elite transport companies in the United States? Do you need information from us for a press release, trade show or public event? Just call, send us an email or visit our Facebook page, and we'll get right back to you.